Image courtesy of: Internet Marketing Inc. The beginning of the year is always something to look forward to – not just with friends and family, but with relationships. 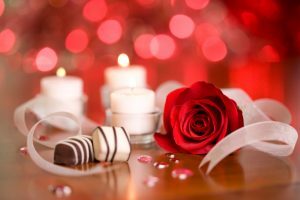 Getting ready for the new year, people look forward to spending New Year’s Eve with that special someone, but this excitement carries into Valentine’s Day, too. Looking for somewhere extraordinary to take your valentine? Somewhere different than local chain restaurants? The Hudson Valley features some of the best spots for Valentine’s Day dining, including The Vault, 8 North Broadway and Ms. Fairfax. Located in Beacon, the Vault offers a variety of different foods, such as mix-and-match tapas dishes like roasted beets with lavender crème fraiche, goat cheese and basil mint agave; going for a larger entree, they have delicious coriander pepper mélange crusted scallops. The Vault features a trendy, low-lighting interior with exposed brick that will not disappoint. 8 North Broadway in Nyack is offering a Valentine’s Day four-course-meal for $55. The menu includes a five-dip mezze platter with pita and shaved vegetables, along with a soup or salad. Entrée choices include branzino, pastitsio, lamb chops or cornish game hen served with yucca and sautéed greens. Don’t forget red velvet cake for dessert! Ms. Fairfax, located right here in Newburgh on Liberty Street, is a menu all about “cured meats and fine cheese,” according to their website. Their immense drink selection boasts 10 taps that rotate behind the bar and an endless flow of specialty cocktails – plus, they offer drinks that start at only $5! Main dishes include lamb kofta with mixed greens, couscous, pickles and cucumber dressing, and summer squash caponata with creamy polenta and herbs; sides include watermelon greek salad or a spiced carrot and apple salad. For those romantics really going the extra mile, a North End restaurant in Boston, Mass. called Pauli’s has caught attention from people all over – even making it to TIME magazine. Pauli’s is offering a deal to those wanting to propose to their significant other in an extraordinary way. They’re selling a $3,000 burger – but it’s not just meat and bread. Their burger has a Neil Lane engagement ring hidden inside, with a 7/8 carat rock in a 14k gold band set with round diamonds, according to the restaurant. If you’re looking to take Pauli’s up on their offer for a burger with an engagement ring inside, they suggest putting in an order for up to 48 hours before dining.